At work, I have a great cafe with an incredible salad bar. 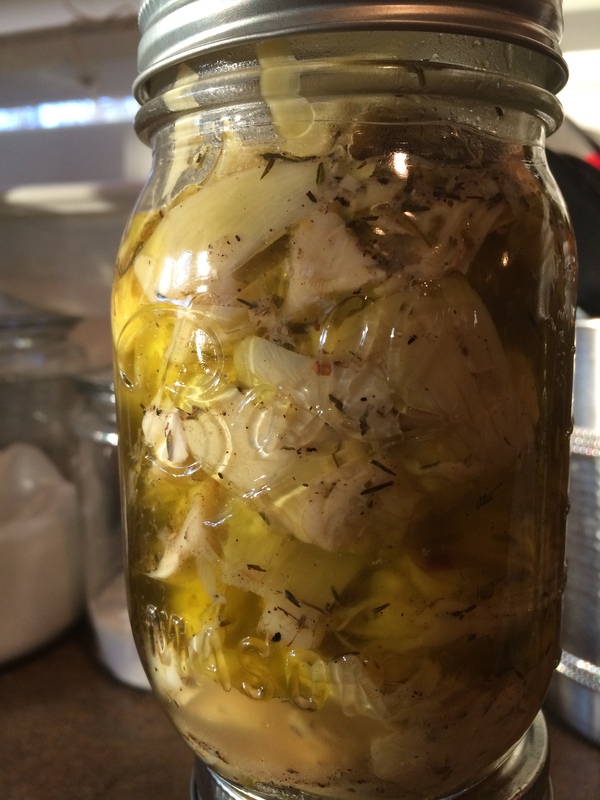 When I need a healthy snack, instead of reaching for a bag of chips or a brownie, I usually head to the salad bar and load up with a container of marinated artichoke hearts. I’ve always loved Greek salad and Mediterranean food in general, so these are always a go-to item for me. Then I noticed that I’m paying almost $5 for a small container of them. I thought that there had to be a better way. True to form, we both searched for a good recipe to attempt a homemade version that would be cheaper and where we could control the ingredients. 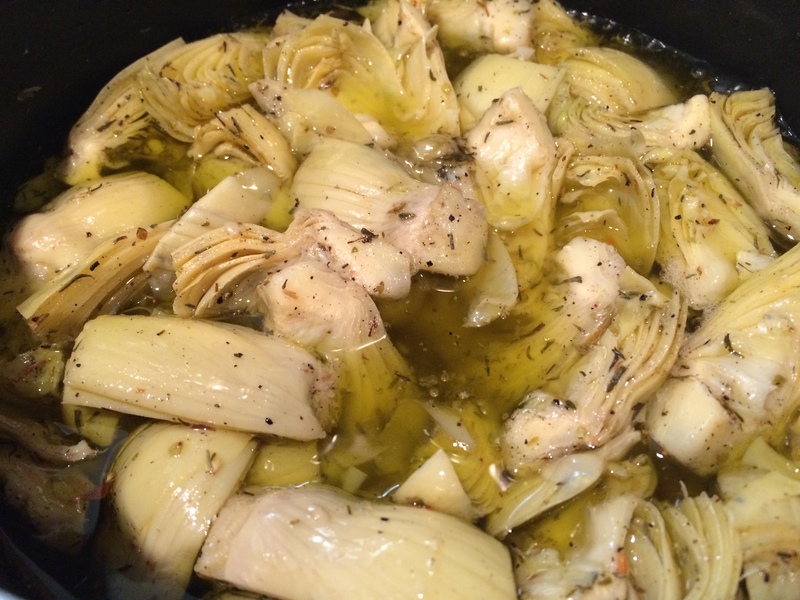 So after trying a few recipes, a little tweaking, and a little trial and error, we give you a quick and easy marinated artichoke hearts recipe to make at home! You can add any herb combination you prefer, but we liked the thyme and oregano blend best. Put all ingredients into medium size pot and add EVOO until almost covered. Simmer on medium heat for 10 minutes, stirring occasionally to incorporate flavors. Let cool and drain away excess oil in strainer. Put in Mason jar and store in fridge for up to two weeks.